"Nothing raises as many questions as this case." 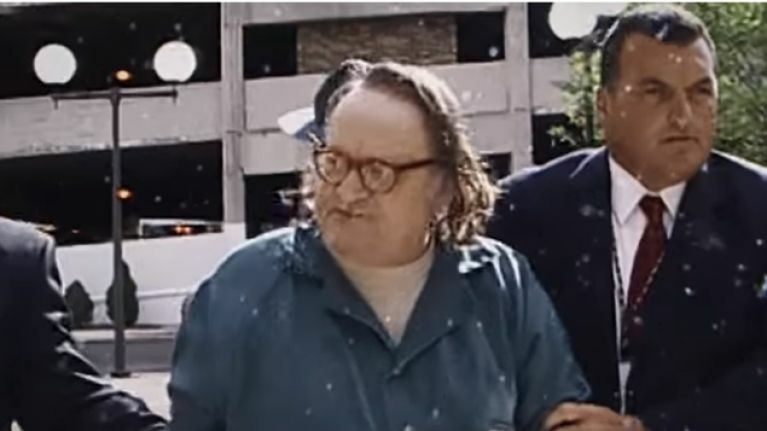 A few days ago, we brought you the news about Netflix's latest true crime documentary, Evil Genius, and the gripping trailer has just been released. Written and directed by Barbara Schroeder, Evil Genius tells the story behind an extraordinary criminal case, known as the “pizza bomber heist”. The 4-episode series arrives on May 11th and we're certain that it's unlike anything you've ever seen before. Here's the official synopsis: "In 2003 in Erie, Pennsylvania, a robbery gone wrong and a terrifying public murder capture the nation’s attention, and a bizarre collection of Midwestern hoarders, outcasts, and lawbreakers play cat-and-mouse with the FBI. Eventually, a middle-aged mastermind named Marjorie Diehl-Armstrong — once a town beauty, now a woman grappling with mental illness — is arrested. But 15 years later, Evil Genius proves there’s more to the conspiracy and murders than was ever thought." Hostages, explosives, money, coercion, theft, conspiracy, mystery and pizza. What's not to love? Evil Genius is available to watch on Netflix from May 11th.